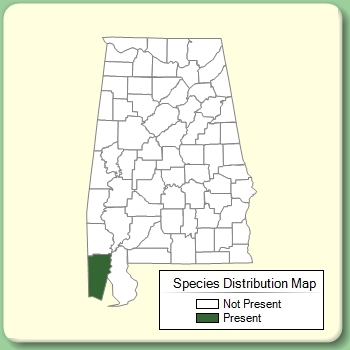 Plant Notes: First collected in Alabama (Mobile Co.) by Howard Horne in 2016. It was found established around the Dog River Bridge and spreading into ditches. 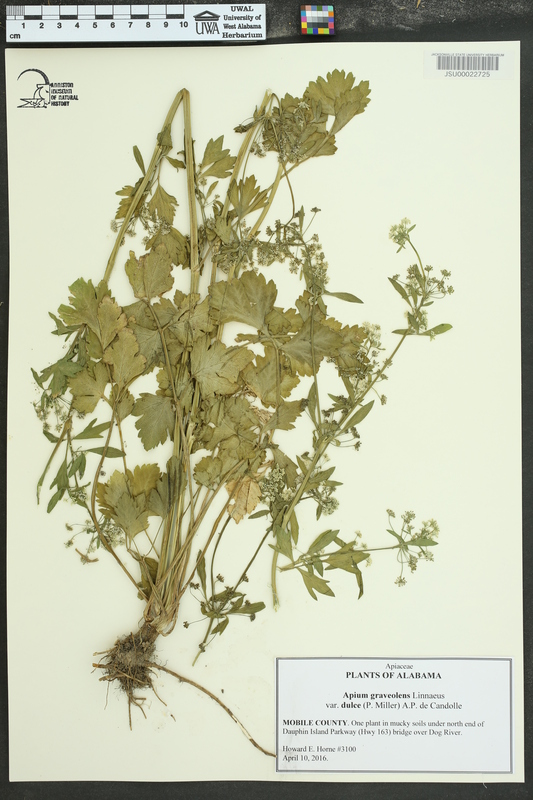 If the species performs as in other areas of the country, it may become an invasive weed (H. Horne pers. comm.). 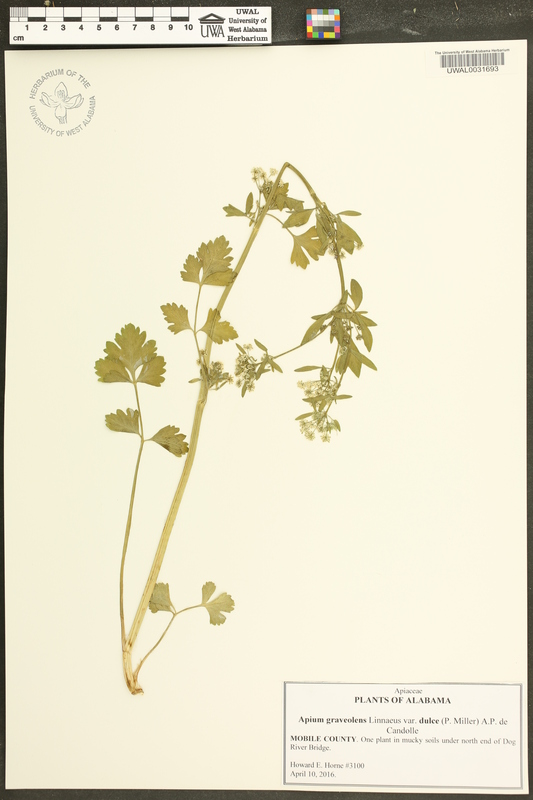 Citation Apium graveolens L., Sp. Pl. 1: 264–265. 1753. Type: Cult. in Netherlands, without data, Hort. Cliffort. 107 (lectotype: BM). 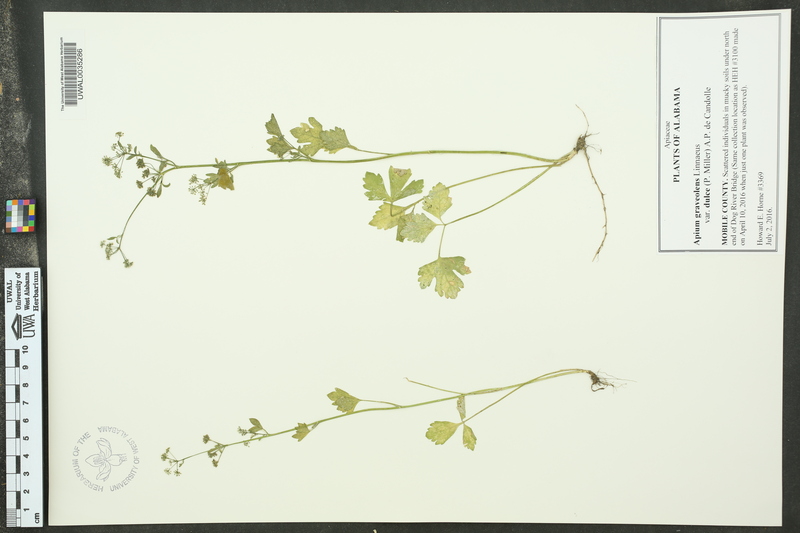 Lectotypified by Reduron & C. E. Jarvis, Taxon 41: 557. 1992. UWAL0031693 Mobile 10 Apr 2016 Horne, Howard E.
UWAL0035286 Mobile 02 Jul 2016 Horne, Howard E.